Section I Grain-Properties, Drying and Dryers. Properties of Grains. Psychrometry. Theory of Grain Drying. Methods of Grain Drying. Grain Dryers. Selection, Design, Specifications and Testing of Grain Dryers. Section II Grain Storage. Food Grain Storage. Section III Parboiling and Milling. Parboiling of Grain. Parboiling of Wheat. General Grain Milling Operations. Hydrothermal Treatment/Conditioning of Cereal Grains. Rice Milling. Milling of Corn, Wheat, Barley, Rye, Oats, Sorghum and Pulses. Section IV By-Products/Biomass Utilization. Rice Bran. Utilization of Rice Bran. Biomass Conversion Technologies. 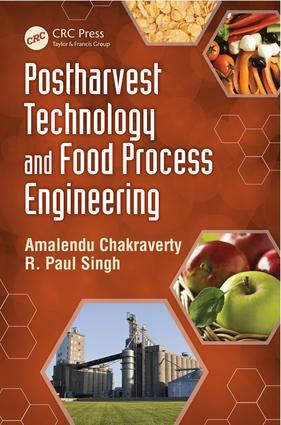 Section V Food Process Engineering. Post-harvest Management of Fruits and Vegetables. Food Preservation and Processing of Fruits and Vegetables. Food Chemistry for Technologists. Food Engineering Operations. Appendix. Bibliography. Index.